Animiz provides you three formats to publish your animation project. Publish it to Cloud, as Video, and as Gif. Firstly, click “Publish” to enter into publishing window. 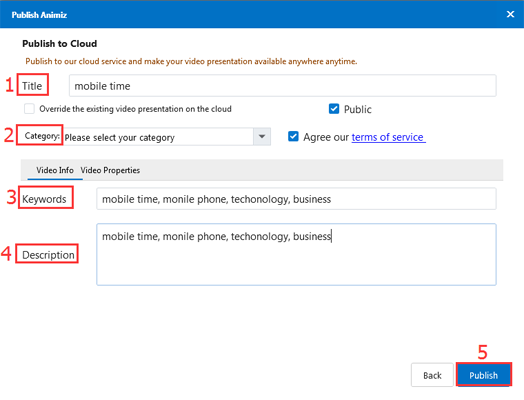 Click “Publish to Cloud” and enter into the information supplement window. Fill in a title, category, keywords, and description of your animation presentation. Besides, check the video properties including size and frame rate. And finally, publish. Click “Video” and enter into the information supplement window. 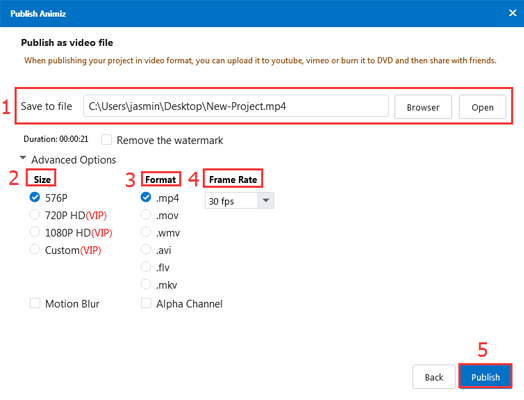 Choose a file to save your video and in the meantime, click “Advanced Options” to choose video size, format and frame rate. Finally, publish. Click “Gif” and enter into the information supplement window. 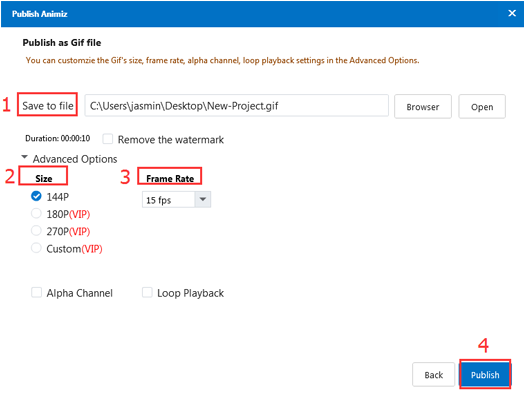 Give your Gif file a folder and further choose the size and frame rate for it. Previous：How to preview your project?